Technology has enabled many conveniences that help us in our daily lives. One of these innovations that has many applications is drone technology. 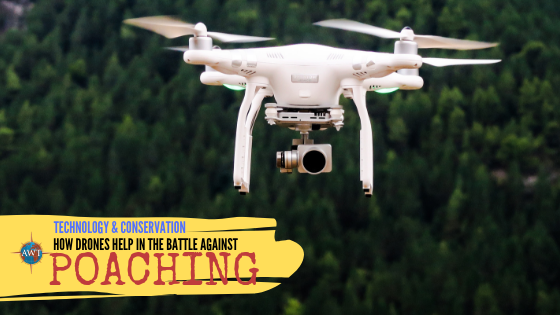 But do you know that drones could also be used to support wildlife conservation efforts? A drone is an Unmanned Aerial Vehicle or UAV. It is also referred to as an RPA or Remotely Piloted Aircraft, which means that it could be flown without any human pilot aboard the vehicle. In simple terms, it is an aircraft that could be controlled remotely. While drones were previously just associated with military use, they are now being used in different industries. 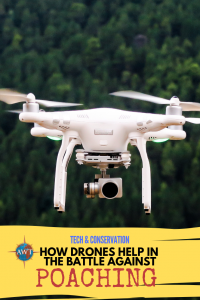 Government organisations, private groups and even civilians now use drones for diverse purposes including traffic monitoring, weather monitoring, search and rescue, photography, videography, agriculture, delivery services and yes – wildlife conservation. Drones are now being used in order to promote wildlife conservation. One of the more publicized efforts was when tech giant Google contributed $5 million US Dollars to the World Wildlife Fund in 2012 to purchase drones that could be used to monitor and catch wildlife poachers. This was also followed by another multi-million donation by the Howard G. Buffet Foundation to test new anti-poaching drone technology in South African National Parks. But how exactly do drones assist in these conservation efforts? Wildlife habitats are vast so unlike a bank or a museum building where you could install CCTV security cameras, it is impossible to effectively monitor such a huge area using ground cameras or people. Drones with cameras attached to them could be used to survey a much larger area and record footage in real time. For example, silent drones together with military-style computer analytics are now being used by the Air Shepherd Initiative to track down and intercept poachers by sending rangers before the poaching incident takes place. In South Africa, drones are equipped with thermal-imaging cameras to scan heat signatures of rhino poachers. Drones are also being used in Belize to monitor illegal fishing and in Indonesia to survey orangutan habitats. Intercepting poachers is not the only way to drive anti-poaching efforts. One of the first steps is to identify and determine areas where certain species could be found. By collecting this data, it becomes easier for conservationists to narrow down which areas to focus on and protect. Flying in traditional aircrafts used to be the typical way to do so, however, this is not a very safe practice. In fact, aircraft crashes account for 66% of deaths of people in the wildlife industry. 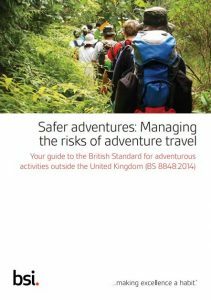 This is because aircrafts flown low for environmental purposes results in a relatively high number of accidents. Drones are a much safer option and while they are seen as a cause of disturbance to animal life, they are much quieter than a small plane or a helicopter. Another advantage is that the drone’s small size makes it easier to access areas previously inaccessible by aircraft or by foot. The lucrative poaching industry provides poachers with sophisticated equipment that hugely surpass the resources of conservationists. This is the reason why the use of more cost-efficient but equally effective conservation methods could really make a difference in combating poaching. Use of a traditional aircraft is undoubtedly expensive, plus it involves a trained pilot, more time, and more resources just for a single flight. If activities such as tracking and monitoring are replaced with drone technology, it could free up resources for the promotion and expansion of other efforts. 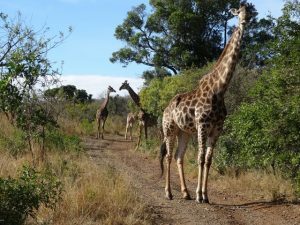 Drones are increasingly being used for conservation efforts and in 2018 Africa Wild Trails deployed drones sucessfully for the first time during our Nile crocodile and Cape giraffe field study projects in July and August. The footage and images gained enabled us to better complete our initial location work and subsequent census.